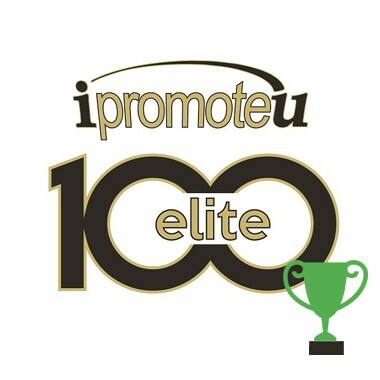 2017 iPROMOTEu "Elite 100", as one of iPROMOTEu's top producing affiliates. While every iPROMOTEu affiliate is important and contributes meaningfully to iPROMOTEU's growth and success, your efforts are extraordinary and especially important. - Ross Silverstein, CEO, iPROMOTEu Inc.
Stay Visible Continues Product Safety Leadership, Early Adopter of Industry's 'Product Safety Aware' Compliance Program New Fairfield, CT (Sept. 30, 2016) - Stay Visible, www.stayvisible.com, today announced it is among the first to achieve 'Product Safety Aware' status in the Promotional Products Association International (PPAI) Product Safety Awareness Program. This means Stay Visible has met or exceeded the PPAI product safety training and education requirements. Stay Visible has demonstrated its commitment to product safety by actively engaging its workforce and adopting a corporate culture prioritizing product safety compliance training and a commitment to continuing education. Theresa Gonzalez, President of Stay Visible said,"Meeting the evolving product safety compliance expectations of the promotional products industry requires regulatory knowledge and an ongoing company commitment. 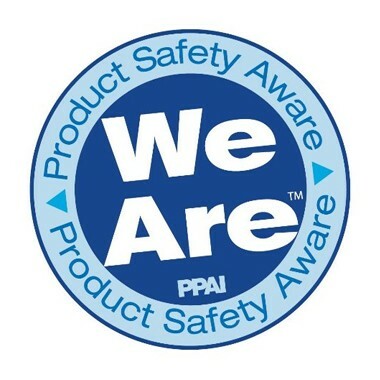 We are proud to establish a proactive leadership position in the industry through our commitment to PPAI's 'Product Safety Aware' compliance program. Product Safety Awareness gives us a strong competitive edge and increases the value in the client-supplier relationship; it's a win-win for both of us." IRVING, Tex., (February 04, 2015) - Stay Visible, won a Bronze in the 2015 Image Awards Competition sponsored by Promotional Products Association International (PPAI). Forty-One Gold, Silver and Bronze winners were recognized at the PPAI Awards Presentation & Reception held January 13, 2015 at the House of Blues in conjunction with The PPAI Expo in Las Vegas. 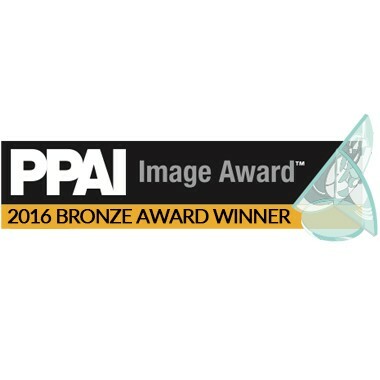 Winners of PPAI Image Awards are recognized for creative, insightful and effective branding activities that promote company identity, products and/or services to their customers and prospects. The award-winning campaigns feature the effective use of promotional products, packaging and copywriting to deliver powerful brand messaging. These winners were selected by a panel of industry professionals and independent, outside marketing and advertising professionals. "Stay Visible’s creative marketing has delivered an outstanding brand experience,” said Paul Bellantone, CAE, president and CEO at PPAI. "I am proud of the fact that promotional products companies work to deliver the same outstanding creativity of messaging in their own marketing as they do on behalf of their clients.” Stay Visible was presented a Bronze for the 2015 PPAI Image Awards in the category of Distributor Self-Promotion. For more information about the PPAI awards program visit www.ppai.org/awards or contact the PPAI Awards and Recognition department at awards@ppai.org. 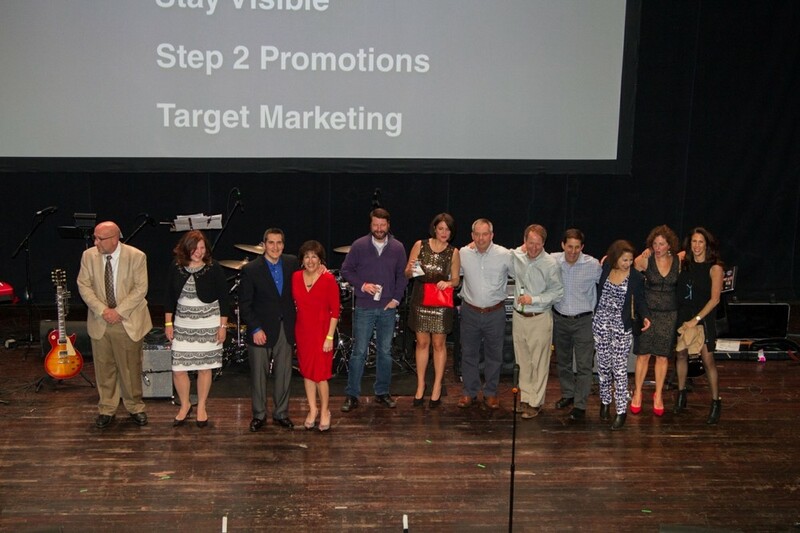 NEW FAIRFIELD, CT (January 2012) - Stay Visible, LLC, a privately held marketing and promotional products firm was named, by iPROMOTEu, as one of the top twenty five fastest growing affiliates based on growth in sales in 2011 over 2010. Stay Visible was honored at the Promotional Products Association International Expo in Las Vegas. iPROMOTEu is one of the largest and fastest growing distributor organizations in the industry. Since iPROMOTEu works only with experienced distributors and sales reps, they enjoy a terrific reputation for professionalism and success throughout the industry and especially among suppliers. iPROMOTEu Affiliates continue to own and operate their distributorship, and they do so using their own company name and identity. Stay Visible has been affiliated with iPROMOTEu since 2009. Stay Visible is able to provide their customers with an added level of customer service in addition to many benefits they receive from their industry suppliers as a result of their affiliation. Stay Visible comments: “We are very proud to receive this award and we will continue to strive toward providing our clients with superior customer service, ideas and measurable marketing campaigns." NEW FAIRFIELD, CT (October 2009)- Stay Visible, LLC, a privately held marketing and promotional products firm, has been named Vendor of the Year by Jan-Pro Franchising International, Inc., headquartered in Alpharetta, GA. Stay Visible is the preferred promotional vendor for Jan-Pro serving their franchise owners nationwide. Jan-Pro, the #1 fastest growing franchise in 2008 and 2009, is an environmentally responsible commercial cleaning company. With over 7,000 franchises nationwide, Stay Visible, LLC services Jan-Pro’s 96 regional offices providing branded uniform apparel and merchandise via a company store website. In addition to managing and maintaining the inventory for the on-line apparel program, Stay Visible provides the awards and gift items for Jan-Pro’s National Conference held annually as well their Gold Circle events. Stay Visible also works with Jan-Pro’s regional offices individually to help communicate their message and brand. Stay Visible comments: “This award comes as a great honor. We are very fortunate to be viewed as a strategic partner. It’s been a pleasure working with everyone in the Jan-Pro network for the past two years. Stay Visible will constantly strive to provide pertinent marketing campaigns and promotional merchandise to assist each franchise owner in their success”. Theresa Gonzalez, President of Stay Visible, received the award during Jan-Pro’s National Conference held in Henderson Nevada. Stay Visible, LLC has been certified as a bona fide Women’s Business Enterprise by the Women's Business Enterprise National Council (WBENC), an organization chartered to enhance and promote procurement opportunities for woman-owned businesses. With the WBE certification, Stay Visible, LLC is also enrolled in the Women’s Presidents’ Educational Organization (WPEO), a regional affiliate of the WBENC. Stay Visible, a privately held marketing and promotional product firm, is led by Theresa Gonzalez. Theresa also possesses a certification within the promotional product industry – a CAS certification. The Certified Advertising Specialist (CAS) designation is one of only two recognized credentials in the promotional products industry and signifies that an individual has reached and continues to meet a higher standard of professionalism, knowledge and experience within the industry. The CAS certification requires 70 classroom hours from a structured curriculum, three years experience in the promotional products industry and a passing score on the CAS certification exam. WBENC, based in Washington, D.C., fosters diversity in business through programs and policies designed to expand opportunities and eliminate barriers in the marketplace for women business owners. Through its regional organizations, WBENC certifies businesses as women-owned, managed and controlled, then provides information about those companies to purchasing managers of corporate partners through an internet database. The WBENC certification is one of the most widely recognized and respected certifications in the nation. WBENC certification is accepted by thousands of corporations within the country as well as a number of federal and government agencies. For more than 9 years, Stay Visible, LLC has been providing added value to marketing programs by providing in-depth knowledge, expertise and resources to private companies and universities. Promotional products represent your institution when you can’t be there; they can be crucial to communicating your message or brand name. To realize goals, promotional product programs must be carefully planned, taking into consideration the audience, objective, theme and budget. Stay Visible does not get caught up in the latest trends when choosing promotional products. Stay Visible assists in choosing items appropriate to companies or that support particular campaigns/themes rather than items based on uniqueness, price or perceived value.